The PCI board with 32 digital inputs APCI-1032 has 32 digital inputs, 24 V. It is available as 24 V or as 5 V version (APCI-1032-5). 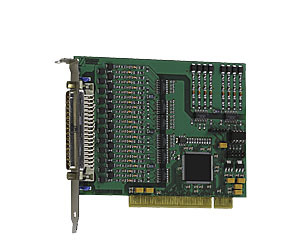 The board is connector- and software-compatible to the PCI Express version APCIe-1032. It is especially suited for industrial I/O control, signal switching, as interface to electromechanical relays, for automated test devices, for ON/OFF monitoring of motors, lights etc. and as interface to machines.